You can update your payment information anytime by going to Settings->My Account. You can update your payment information anytime by going to Settings->My Account. Just click on “Payment Information” on the left side of your screen to check or update your credit card details. You can also see all of your previous payments on this page should you need to access that information. 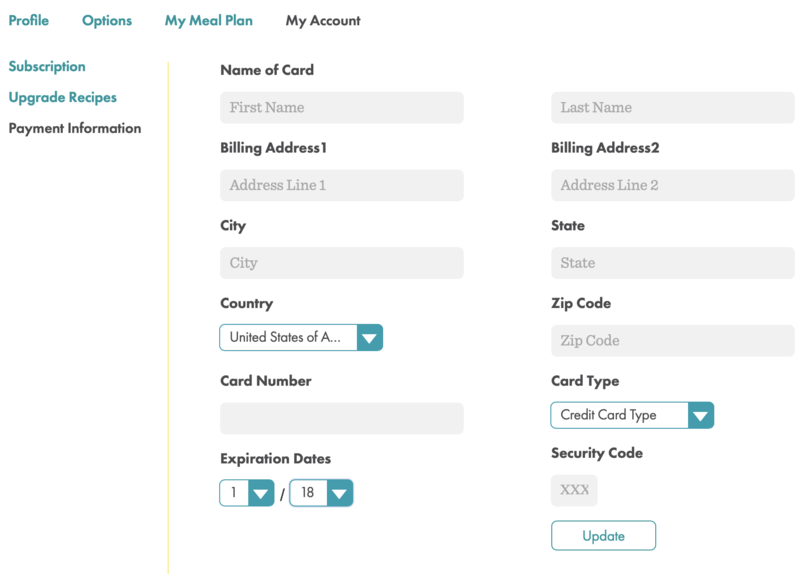 If you have specific billing questions, please submit those to support at realplans dot com. **Mobile app users: This action must be performed on our website at this time. You can access our website from your preferred device’s web browser at realplans.com.